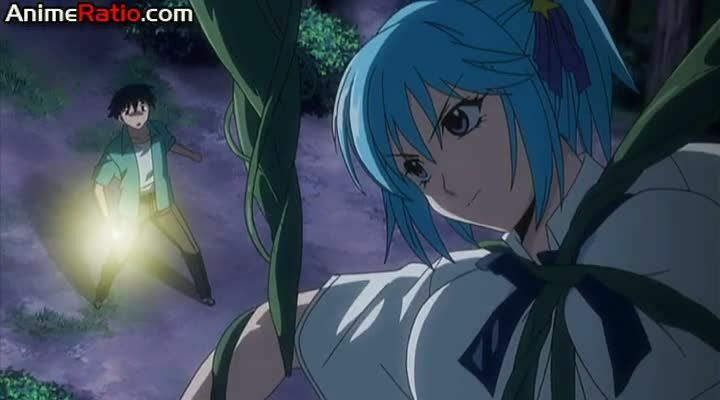 You are going to Watch Rosario + Vampire Episode 10 English dubbed online free episodes with HQ / high quality. Stream Anime Rosario + Vampire Episode 10 Online English dub Sunflowers and a Vampire. Ruby awakens to find herself in a tent with Tsukune and co. and a soft drink can held to her. When asked why she attacked them, Ruby explains about how badly witches have been treated and how developers are planning to destroy the sunflower fields where she and her master live. Seeing how kindly Tsukune and his friends treat each other, Ruby starts to have doubts that drive her to later sneak out that night back to her master. When Tsukune and co. rushes into the sunflower field to search for her, Ruby’s denial regarding her master instigates a massive battle and a forbidden spell is used, whose near-irreversibility raises a lot of question of whether or not Ruby will survive.